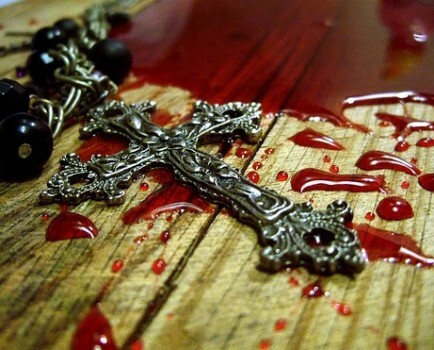 A grim Ministry of Foreign Affairs (MFA) report circulating in the Kremlin today is expressing “shock and horror” over the Obama regimes “tacit approval” of the Libyan governments plan to conduct a mass execution of Christian missionaries for the crime of “proselytizing”. Egypt’s largest news service, Ahrem Online, is further reporting today that these Christians are being tortured by Libyan authorities and a new video appeared on You Tube yesterday, apparently made by the Libyan militia interrogators, showing these Christian prisoners with shaved heads and evidence of them having been beaten. Concerning the four foreign missionaries, identified as being an Egyptian, a South African, a Korean and a Swede who was traveling on a US passport, this report says, it is difficult to say who they are and what they were doing since they basically have been swallowed up by the Benghazi prisons; their names and identities have not even been revealed. Russian Foreign Ministry attempts to contact the Obama regime about this tragedy, this report says, have “all been rebuffed” with the US State Department claiming that this matter was an “internal affair” of the Libyan government which the Americans say they have no control over. “The United States has a strategic interest in a stable and prosperous Libya, and is supporting Libya’s democratic transition in cooperation with the UN and other international partners. Recognizing Libya’s own substantial resources, the United States has focused on building Libyan institutions and increasing its capacity to govern effectively, hold free and fair elections, and manage public finances transparently and responsibly. We have also provided targeted assistance to support the development of Libyan civil society and its security forces. 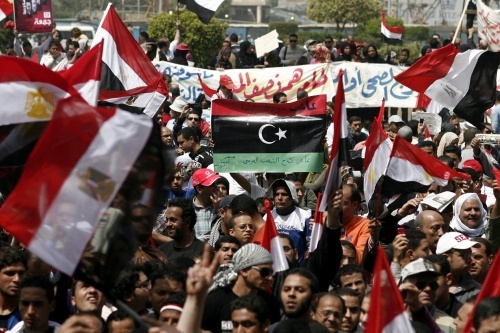 Investing modestly in Libya’s future will help further advance Libya’s democratic transition, promote stability, and strengthen the U.S.-Libya partnership. 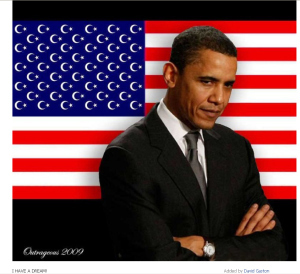 To if a “stable and prosperous Libya” the Obama regime claims to be a major part of now includes the wholesale massacre of Christians, this report says, Russia can rightfully claim that from the very beginning of the West’s war against this North African nation it had warned the world that this would be the most likely outcome. In perhaps it most outrageous action against peace and freedom in Libya, in late October (2012), the United States blocked a draft statement, proposed by Russia, on the resolution of violence in the Libyan town of Bani Walid, which had been under siege for weeks. The statement called for a peaceful solution to the conflict. Lawrence Freeman, from news magazine Executive Intelligence Review (EIR) says the US will block any peaceful solution to the ongoing violence in Libya, because stability in the region is not in its interests. 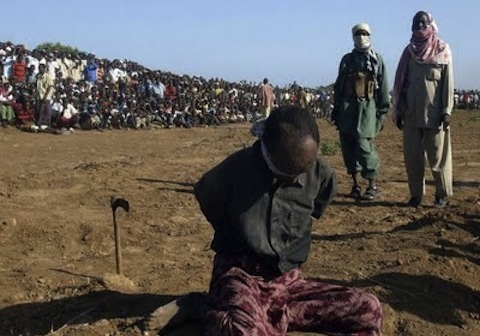 To the American people themselves demanding that their Christian brothers and sisters facing a horrible death in Libya be freed there appears to be no effort being made as, and as always, their propaganda “mainstream” media, and Obama regime lapdogs, refuse to tell them of this grave situation. March 1, 2012 © EU and US all rights reserved. Permission to use this report in its entirety is granted under the condition it is linked back to its original source at WhatDoesItMean.Com. Freebase content licensed under CC-BY and GFDL.